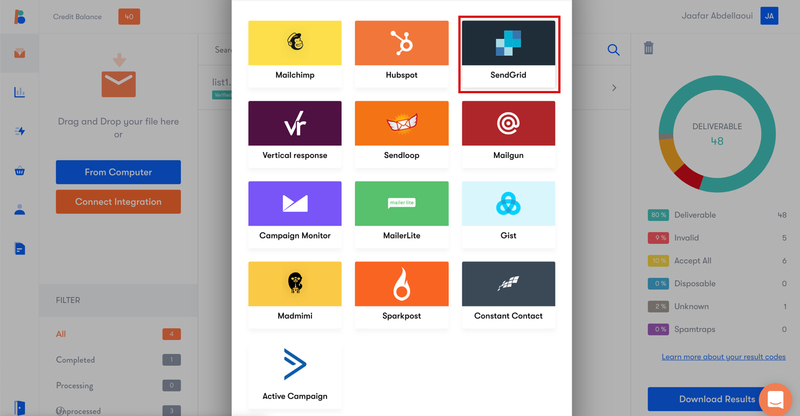 This short guide will help you integrate with Sendgrid. 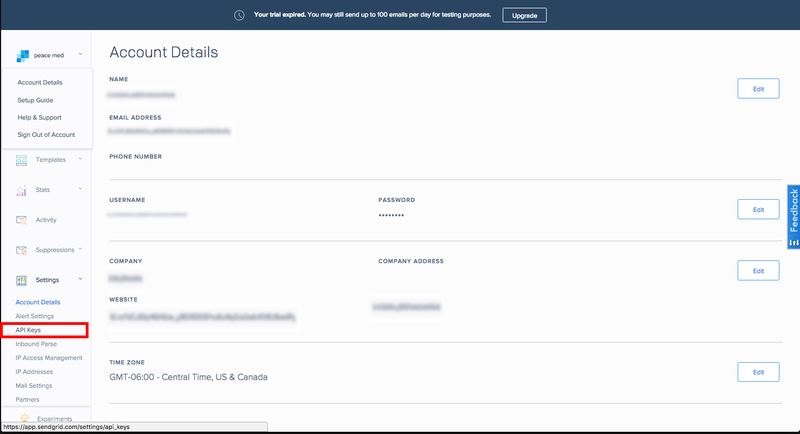 It's simple and will make it possible for you to directly import your lists from Sendgrid to Bounceless. 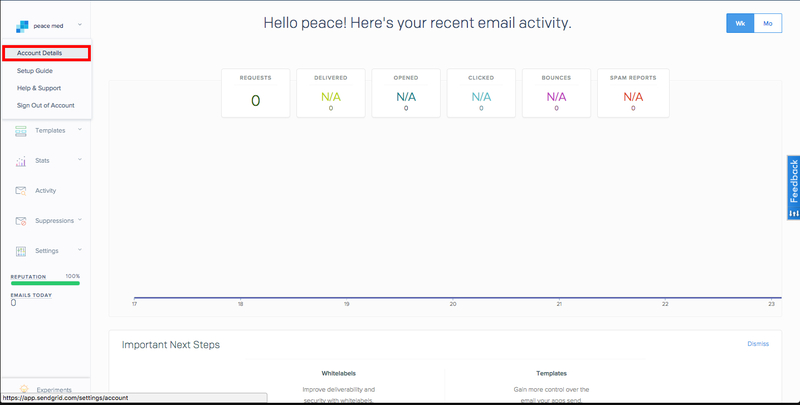 This integration requires you to have a Bounceless.io account, that you can create over here. 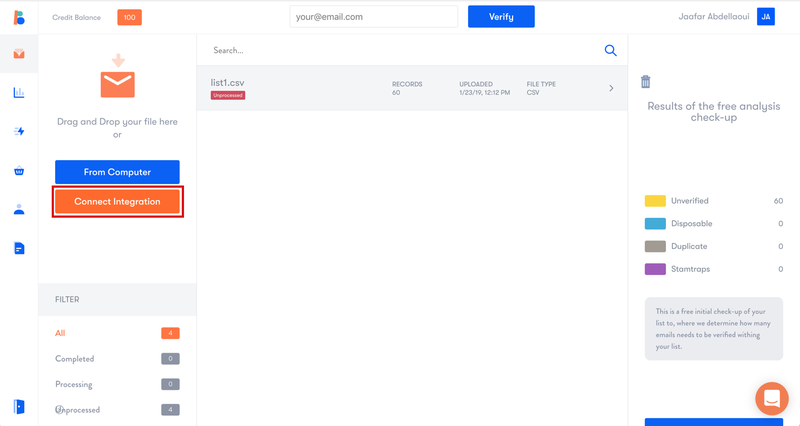 It will also only work if you have a Sendgrid account, if you do not have one yet, you can create one here. 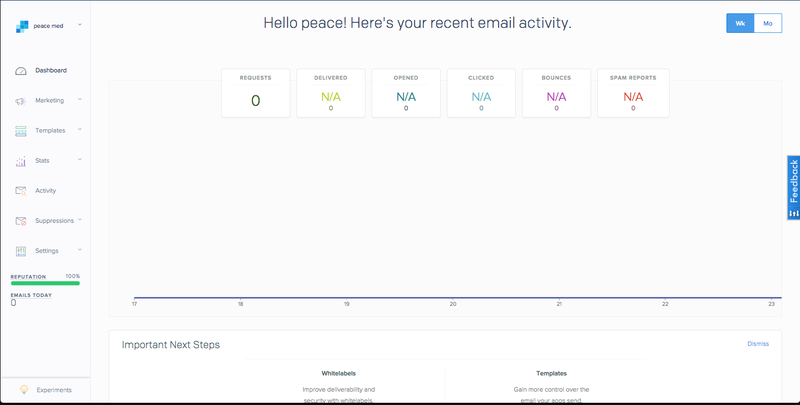 Step 2: Add Sendgrid integration. 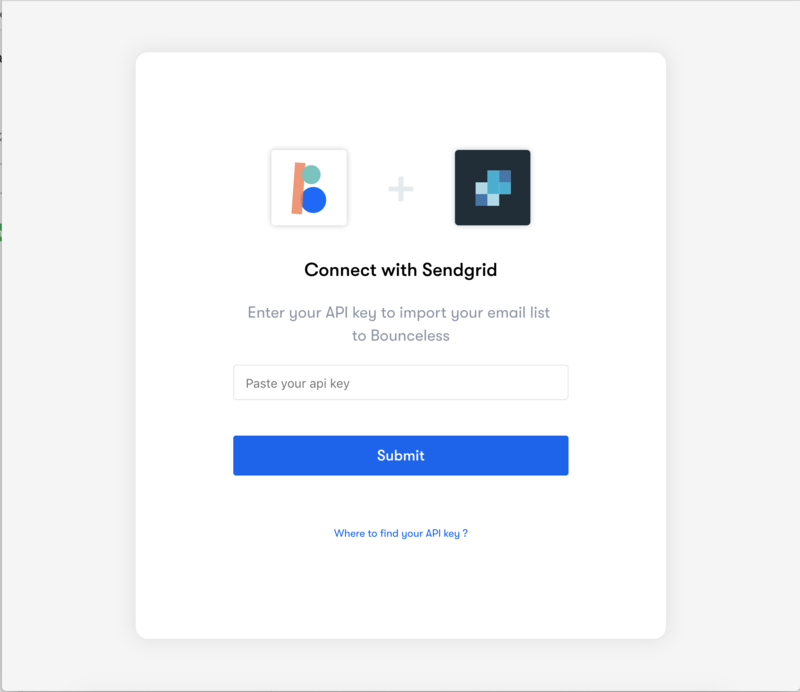 When this is done, just click on the first Sendgrid logo to select the integration. 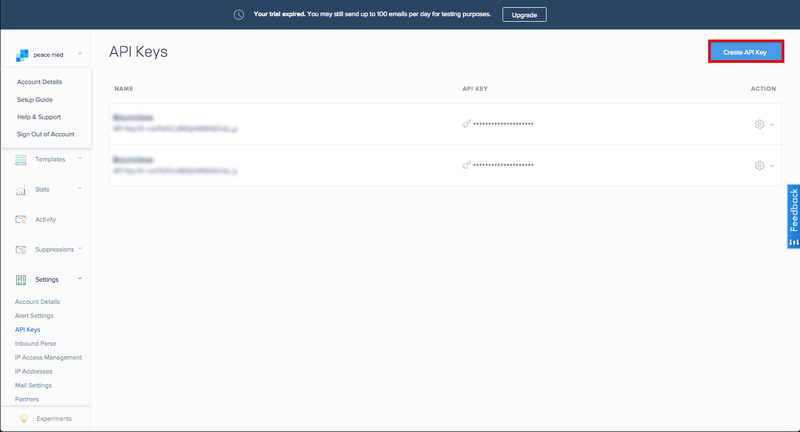 Step 3: Log in to your Sendgrid account. Name the API Key anything you want. Select the Restricted Access tile and a table of "Access Details" will appear. Scroll down to "User Account," and click the middle circle setting "Read Access." Leave all other options at their default settings. Then, click Create & View. The API Key will be generated and appear in the new window. 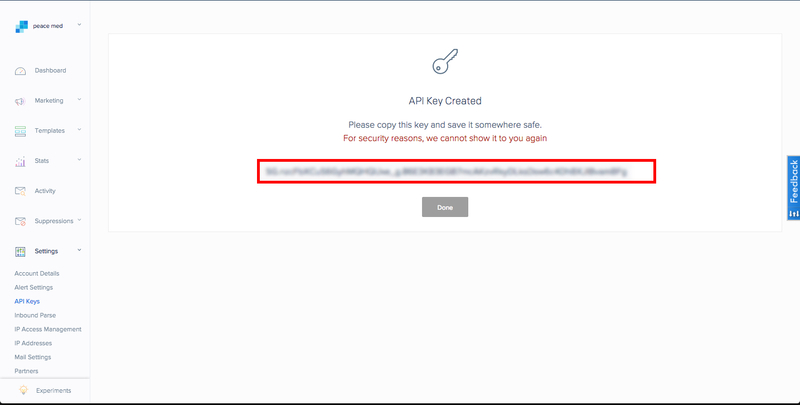 Click the API Key to copy it. 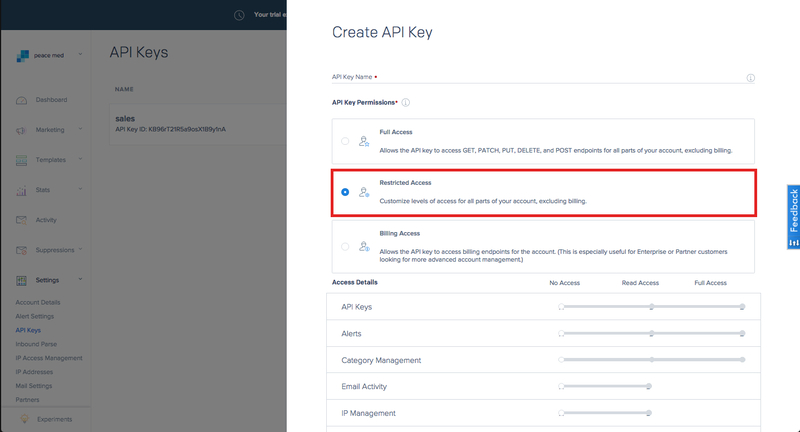 Switch back over to Bounceless and paste the API key. Then, click Submit. Click Import List next to the list you want to import and verify.